These veggies are too good to eat when worn on the adorable Stella McCartney Kids™ Veggie People Short Sleeve Tee. Veggie people graphic print throughout. 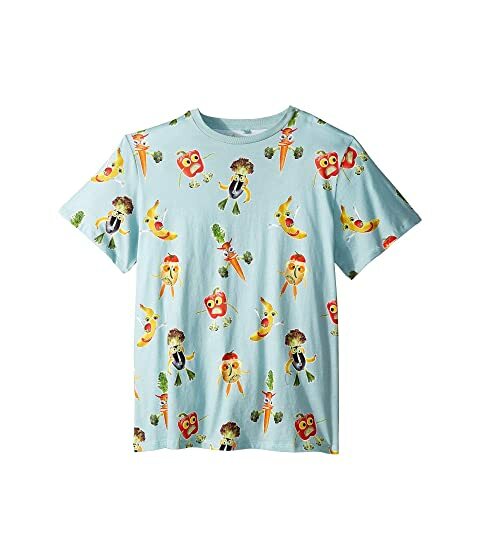 We can't currently find any similar items for the Veggie People Short Sleeve Tee (Toddler/Little Kids/Big Kids) by Stella McCartney Kids. Sorry!